“I believe we do our best when we enjoy what we are doing.” These were the words of Sarah Auffret, a famous member of the global travel and tourism industry who died onboard a Boeing 737 Max 8 operated by Ethiopian Airlines on Sunday. She is one out of 157 people Boeing and the FAA owes to put safety before doubt in allowing the B737-Max 8 aircraft model to keep flying. 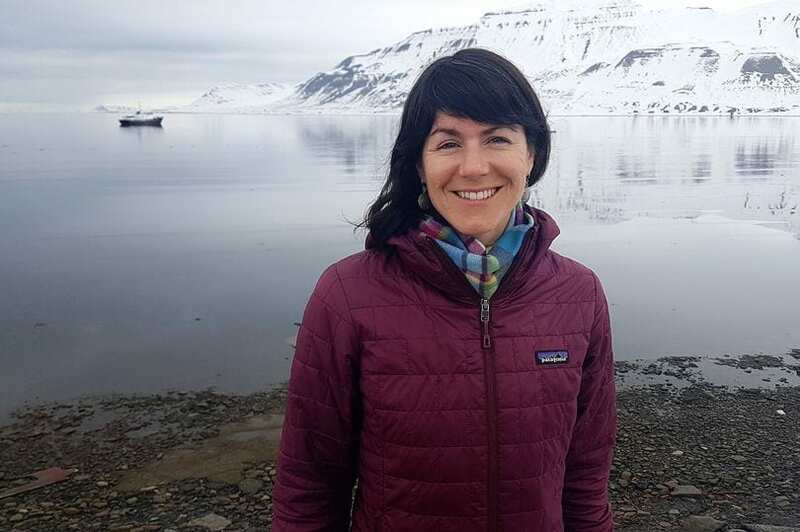 A French-British polar tourism expert Sarah Auffret was making her way to Nairobi to discuss tackling plastic pollution in the seas at the UN assembly, according to her Norway-based employers Association of Arctic Expedition Cruise Operators (AECO). With pride she told her story more than 10 years ago before joining Arctic Expedition Cruise Operators. I recently joined the Association of Arctic Expedition Cruise Operators (AECO) as an environmental agent to lead the Clean Seas Project. Our aims are to reduce single-use plastic on board expedition vessels, facilitate first-hand experiences of the extent of the marine litter problem in the Arctic and educate on its consequences. AECO is keen to demonstrate how industries can be driving forces in the fight against marine litter. At the Clean Seas Project we are working to drastically cut back on single-use plastics on Polar expedition cruise vessels. Installing water and soap dispensers, removing single-use items such as bottles, cups and straws and requiring products to come in different packaging are various ways to reduce our plastic footprint. We are focusing on educating passengers, ship crew and the general public on what can be done to reduce single-use plastic consumption and prevent marine plastic pollution. We are also enhancing our contribution to Clean Up Svalbard by collecting and reporting data such as locations and the nature of marine litter. The information gathered on board can be used by scientists and policy makers to tackle waste at its source and eventually help turn the tap off. In 2018, over 130 clean-up actions were reported and over 6,000kg were picked up by AECO members alone. I have been travelling across Scandinavia with ‘Chewy’, a container chewed and scratched by a polar bear on the coast of Franzøya, Svalbard. It was picked up by the Norwegian Coastguard during a clean up last summer and has become a mascot for Clean Up Svalbard. It was named by the community of Longyearbyen and will continue travelling to raise awareness. The amused looks and conversation it has spurred so far have been amazing. What was your experience at the University of Plymouth? The degree was my main reason for coming to Plymouth. The location was also key as I grew up in Brittany, France and it was easy to reach Plymouth by ferry. The skills I have gained through my degree are useful to this day so I feel I made a good choice – studying something I was interested in, and that gave me a set of skills I can use. I really appreciated the level of service at the University library, with well adapted opening hours allowing for a very flexible study schedule. It was both a study and social place. My course allowed me to meet people from different courses, at different levels in their university careers leading to a much richer university life. The international student community also helped me broaden my horizons and encouraged me to go explore further than Europe. I was an exchange student at Potsdam University, Germany for one year. It was a very successful year academically and my German skills as well as cultural knowledge have been beneficial in almost every job I have had since graduating. I have guided in German in the Polar region – it has helped me secure several jobs, including in Antarctica. After graduating I joined the Japan Exchange and Teaching (JET) Programme. JET Programme participants are involved in internationalisation initiatives and foreign language education. I worked at Naruto High School as an Assistant Language Teacher. The JET Programme placed me in Naruto because of the town’s twinning with Lüneburg, Germany. I was able to assist a couple of German exchange students at our school and ensure they had extra support through their year abroad, as well as organise introductory German classes for Japanese students. I can only encourage everyone to make the most of the placement opportunities to enhance their degree with new skills.